Add a little fire to your day! A folk tonic for the body, this infused apple cider vinegar is a potent immune booster, gut healer and spirit lifter. 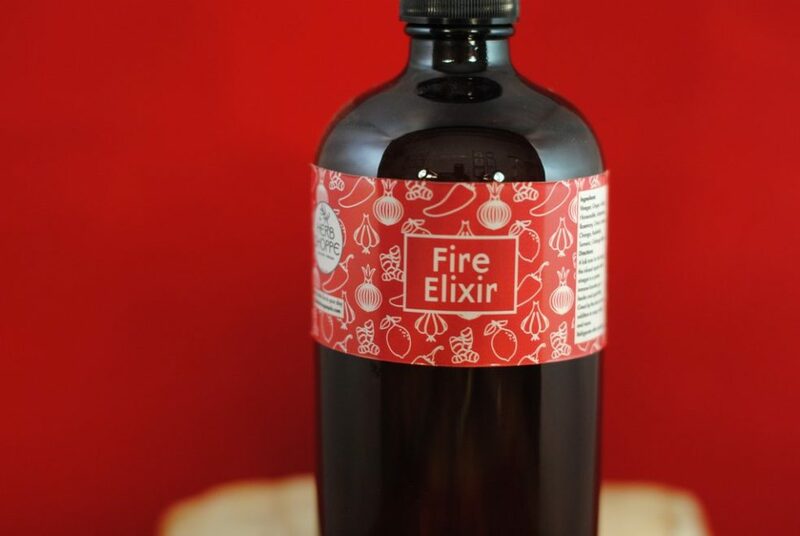 Fire Elixir is great by the shot or as an addition to soup, salad and more. Ingredients: Garlic, Horseradish, Jalapeno, Rosemary, Onion, Lemon, Oranges, Asafoetida, Turmeric, Galangal, Apple Cider Vinegar.